Song mash-ups can be fun, but it’s much rarer that we get a good musical instrument mash-up. This special treat comes to use from the Ukrainian band, Brunettes Shoot Blondes. Whether their new song, Houston, is to your taste or not, you’ll still appreciate the weirdest Frankenstein musical instrument that might ever have been created. The band started with a broken vintage piano. By the time they were done, some of the keys still played like a piano, but the rest controlled twenty different instruments that had all be connected to it. 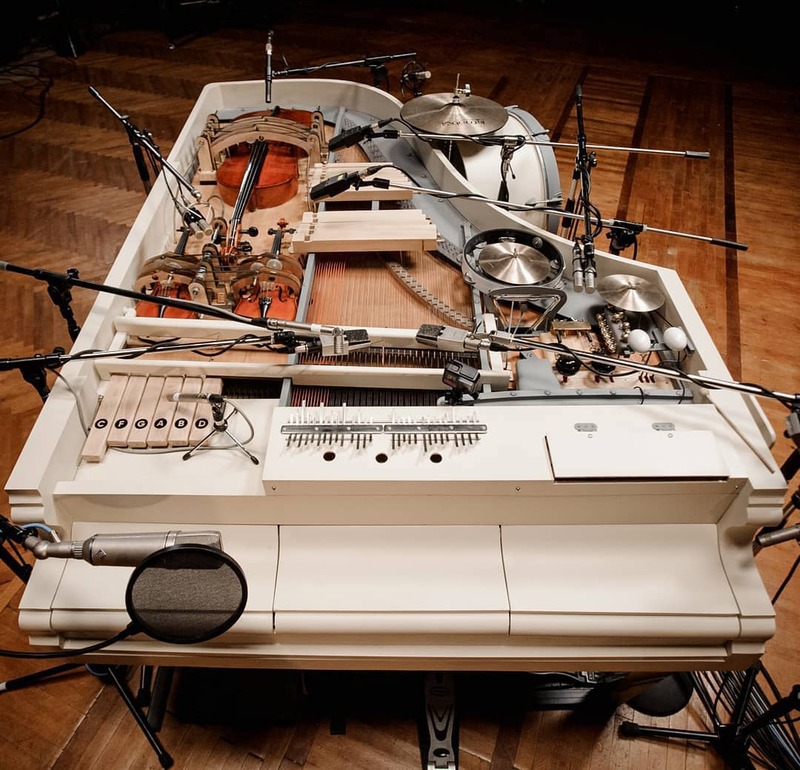 Depending on which key you hit, you might trigger drums, tambourines, cymbals, castanets, violins, a cello, or even a ball that hits a string of chimes.